We have seen in the past, Yamaha products exceeding our expectations in terms of quality and performance. The 100+ years old company is well known for superior audio systems targeting high-ticket buyers. We got a chance to review its latest sound bar YAS-105, the model comes with bluetooth wireless connectivity, built-in dual subwoofers and dual tweeters. This sound bar is slightly priced high in the market, definitely not competing with cheap Chinese products. Will this model uphold the legacy of Yamaha’s built-quality and performance? We find out in our Yamaha YAS-105 review. Powerful 120W total output. Elegant sleek and premium looking design. Built-in dual subwoofers producing rich and deep bass. Built-in dual tweeters. Wireless connectivity and wall mount feature. All function remote control, the speaker bar also supports TV remote control and smartphone control. Total output of 120W is not so ground breaking but powerful enough for a mid-sized room. The Yamaha YAS-105 speaker bar is powered with AIR SURROUND XTREME technology which procreates 7.1 channel surround sound from a single unit. Under our testing, the review unit produced loud enough sound with high fidelity. Both sound staging and imaging were up to the mark and surround sound effect was remarkable, our experience with its performance was really enjoyable. If you hate messy wiring, you’re going to love this speaker bar. 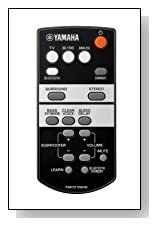 Setting up the Yamaha YAS-105 was really simple and easy. 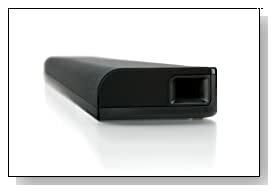 The speaker bar comes with single digital optical cable input for plug and play, optical cable is provided with the product. The model also equipped with Bluetooth technology to support music streaming from smartphones and laptops. One aux input also provided in the unit to support non-Bluetooth enabled devices. The model also has subwoofer out, if would like to add one more unit. Our verdict: Yet again Yamaha didn’t disappoint out expectation from a premium brand sound bar. Yamaha YAS-105 is well suited for home theater enthusiasts who are ready to spend little more but doesn’t want to compromise on audio performance. The company keeps this model as basic, barring features like HDMI input, magnetic shielding and mobile docking etc., which are quite common nowadays. Nevertheless, the Yamaha YAS-105 never falls short on audio performance. If you’re not inclined towards boasting specifications but looking for a high quality speaker bar from reputed brand, then this product should easily be your first choice. Plus, Plus and Plus..Very happy with the sound bar. Design is Ultras-slim and sound quality is good. Using as a wall mount below the TV, looks superb.